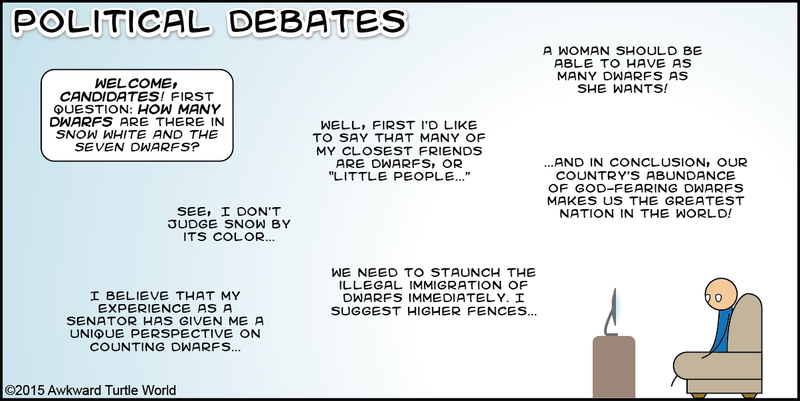 This entry was posted in Comics and tagged awkward, cartoon, cartoons, comics, debate, humor, politics, webcomic on August 9, 2015 by zucchinipi. Ever wonder what people reading your resumes are thinking? This entry was posted in Comics and tagged awkward, cartoon, cartoons, comics, humor, resume, webcomic on August 2, 2015 by zucchinipi. I save up my Halloween candy just for this reason. This entry was posted in Comics and tagged awkward, candy, cartoon, cartoons, comics, food, halloween, holiday, humor, webcomic on July 25, 2015 by zucchinipi. This entry was posted in Comics and tagged awkward, cartoon, cartoons, comics, humor, parenting, season, webcomic on July 19, 2015 by zucchinipi. Artificial Intelligence raises a whole bunch of new awkward questions. Mostly this one. Confused? Read the last part. This entry was posted in Comics and tagged awkward, awkward machine, cartoon, cartoons, comics, computers, humor, technology, webcomic on July 12, 2015 by zucchinipi. This entry was posted in Comics and tagged awkward, cartoon, cartoons, comics, humor, science, technology, webcomic on July 4, 2015 by zucchinipi. Guess what I just got. In all fairness, it’s actually pretty nifty. This entry was posted in Comics and tagged amazon, amazon echo, awkward, cartoon, cartoons, comics, echo, humor, technology, webcomic on June 28, 2015 by zucchinipi.